The dining room is an art work it self. 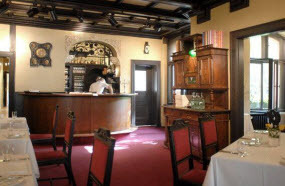 Built in 1834 by the sculptor Richard Bieber (the name means the Bieber construction” in German), the restaurant was used as aninn for artists while the food was being served. almost everything was lost in the Second World War, but the beautiful interior was miraculously saved. The owner Anne Garkisch is also the somme lier who can guide you through the best wine+food combinations in the menu. 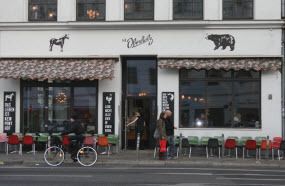 Food: The “German food with a French touch”, as the owners advertise it, has received a Michel in star in 2015. Two menus to be chosen by them eat-eaters with four dishes each include a chicken risotto, a cheeses election and fancy deserts. For the vegetarians, a special menu saves the day without losing the taste, containing one extra dish and for a cheaper price. If you are in a big group, you might need a reservation for one of these well-decorated Indian restaurants. The smells, the mood, the music and the huge Buddhas tatues will take you to India for some hours. 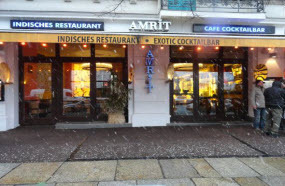 The four destinations in central areasof Berlin make it easy to taste the restaurant special ties because they are close to the city’sma in touristic destinations. Food: Don’t get lost in the big menu! The restaurant specialty is the Shorba (Indiansoup), but every thing curry related is there. The PalakPaneer, a cheese cooked in a gravy of spinach, is just heaven! Order a Batura (Indian bread) as a sided is hand thank us later. Food: Soups and many types of salad are in menu, as well as Gulasch, Gnocchi and the traditional German Flammkuchen (a kind of pizza). For the dessert lovers, their Tiramisu is famous! 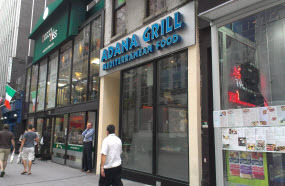 The 20-year-old Adana will allow the meat-lovers to feel the true taste of the heritage the Turkish people left for Berlin. You will see it for your self by noticing that the majority of the clientsis, well, Turkish. Considered by many the best of its kind in the city, this restaurant is totally worth a try. The menu of grilled meat, chicken and lamb is huge. In doubt, ask the staff for help and they will proudly guide you. The traditional Kebab (or Kebap) is there in the normal and vegetarian versions, as well as the Falafel. Food: Eager to try something new? Order the Adana Beyti, minced me at skewers with garlic. The form erfurniture store is today a meeting point for the gays and lesbians of Berlin. However, do not feel shy if you consider yourself a conservative! The openness of the place will make you feel at home. 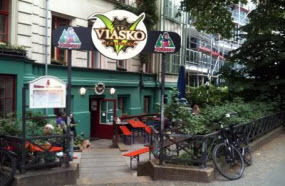 Located in the heart of Kreuzberg, the bar is full of artists, hipsters and bohemians ready to show you the way to the city’shiddengems. Special drinks: The Polish beer and many types of Russian Vodka are the highlights. This pub is more than a simple pub. You can order a whiskey or a coffee, or even watch the cooks working on you food through the huge window that creates the effect of a transparent kitchen. If you are lucky, you will be able to watch one of the German best movies and even at tend to a workshop runned by a representative of Berlin’s exciting start up scene. 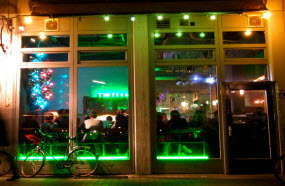 Above all that, the Sankt Oberholz is also a co working space dedicated to what they call “Silicon Allee”. Too much to handle? The beeris still going to be great! Special drinks: They are famous for the White Russian and the White Negroni, two drinks with whiskey. With 22 years old, this bar closed its doors for a huge concept reformulation. 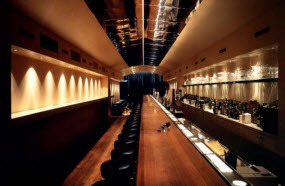 Today, three years later, the fancy bar serves as stage for young DJs from all over the world. Although there is no dance floor, you can choose a nice drink and relax with your peers, or evene at a burger to sober up a bit. This place is certainly not for the loudor party freaks, but for the ones who enjoy a nicely done drink after a long day of work – or of sightseeing. Special drinks: The bar is for the cocktaill overs! From Martinisto Cuba Libres, the menu is for sure complete.